South Adelaide now sit top of the SANFL IGA League ladder following a thrilling victory over the Adelaide Crows, overrunning their opponents in the final term to record a dramatic one point win. Ruckman Daniel Bass was the hero for South, calmly slotting the match-winning goal from 45 metres out with just seconds remaining. Bass' goal capped off a six goals to none final term that saw the Panthers erase a 32 point three quarter time margin. Watch Bassy's game-winning goal below. Leading the way for South was Rigby Barnes, who joined the club from Encounter Bay after winning the previous two Mail Medals in the Great Southern Football League. Barnes' performance (17 touches, eight marks, seven inside 50s and a goal) was critical to the Panthers offensive game. Likewise, Brett Eddy continues to strengthen his case as the leagues best forward after another brilliant display in front of goals, kicking six for the afternoon and taking his league-leading tally to 22 (nine goals more than the next best). I SWEAR: In honour of South Adelaide Major Charity Partners, White Ribbon, Panthers and Crows players and umpires took an oath against domestic violence against women. PHOTO: Nick Hook. While the forward line fired, the Panthers defence held strong and held Adelaide to their lowest scoring output and only goalless quarter of the season. Leading from the backline, Alex Cailotto played arguably his best game for the league side, while Matt Rose (28 touches and eight tackles) showed what he can do when opponents don't pay enough respect to his game. Other strong contributors included Nic Schwarz, who continues to grow in his role as a high half forward ran hard all afternoon for his 21 disposals and also managed to hit the scoreboard with a goal, while Cameron Hitchcock showed why he was included in the West End State Squad with his 23 possessions, game-high nine marks and a goal. South Adelaide now take on Norwood at Hickinbotham Oval on Saturday 7 May from 2:10pm, with skipper Brad Crabb celebrating his 150th game for the Panthers. South Adelaide's Reserves have claimed their third consecutive win after taking down Woodville-West Torrens by 13 points on Sunday afternoon. The win pushes the Panthers into third place on the ladder and ends an Eagles Reserves winning streak of 27 games that dates back to August 23rd 2014. In a low scoring affair, South rode the momentum of a four goals to one final quarter to erase a six point three quarter time deficit and claim a hard fought victory. A month earlier the Panthers pushed within two points of upsetting an Eagles side that has become accustomed to winning week in, week out over the past two seasons. So to break through and snap Woodville-West Torrens winning streak is an excellent result for Adam Blakely's men. Pleasingly for the Panthers there were many strong performers against Eagles, as there has been all season, and competition for spots in the League side is high. Best afield on Sunday and knocking on the door of League selection was Tyson Brown with 25 possessions. Starting on a wing and across halfback, Brown was forced into the forward lines once Jackson McMahon suffered a knee injury and his versatility proved key to South's victory. Youngster Rhys Bartram was also amongst the best, gathering 23 touches and four inside 50s, while Ben Darrou continued to string along some good form as he works his way back from an injury-plagued 2015, with 25 disposals and 10 marks across the backlines. Up forward, Josh Trembath was again firing in front of goals, slotting five majors for the game, while Ryan Need continued to hit the scoreboard since joining the reserves with two of his own. Midfielders Richard Newell (20 touches, five marks) and Joseph Haines (21 and six) were also strong contributors on the day. 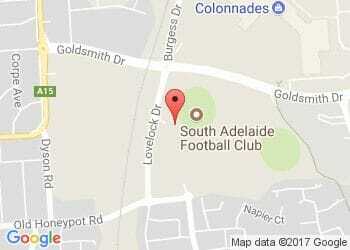 The Panthers Reserves next face Norwood at Hickinbotham Oval on Saturday 7 May from 11:25am.